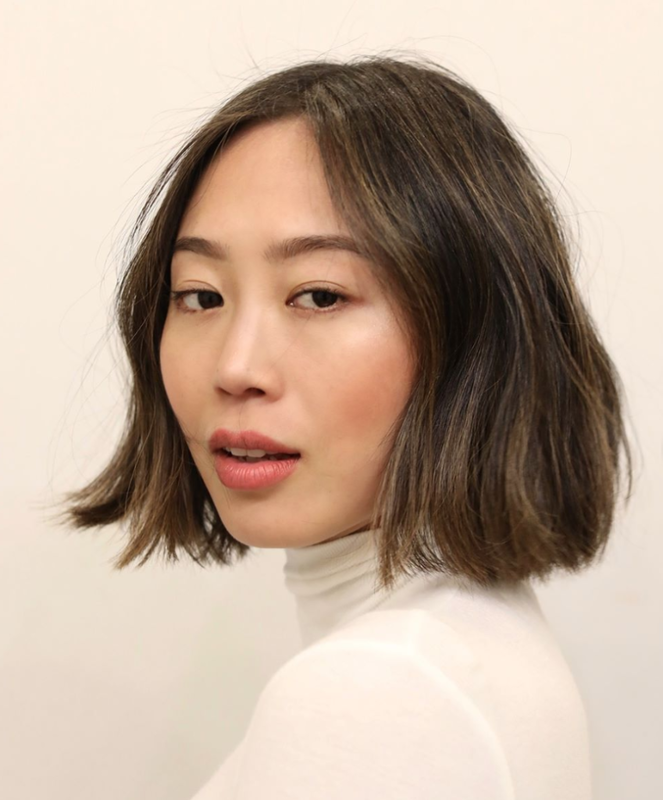 An updated look and collaboration with colorist Stephen Garrison for one of Anh’s all time muses — fashion blogger Aimee Song of Song of Style. He refreshes Aimee’s hair to a chic, French girl inspired choppy bob with subtle sun kissed highlights for a brighter look. The blunt cut is detailed with point-cut ends to soften the look and styled by prepping with L’Oreal Professionnel 10-in-1 & Mythic Oil prior to blow drying the hair smooth with the Dyson Supersonic and an Ibiza brush. Anh waved the hair by alternating between the Lived in and Nu Wave techniques and simply finishing the look by finger combing through DePolish throughout for texture and separation.